One of our MOST POPULAR bags! Smaller than the Large Tote, but bigger than the Medium Zip Tote. This bag features contrasting side panels to create a more rectangle shape bag. 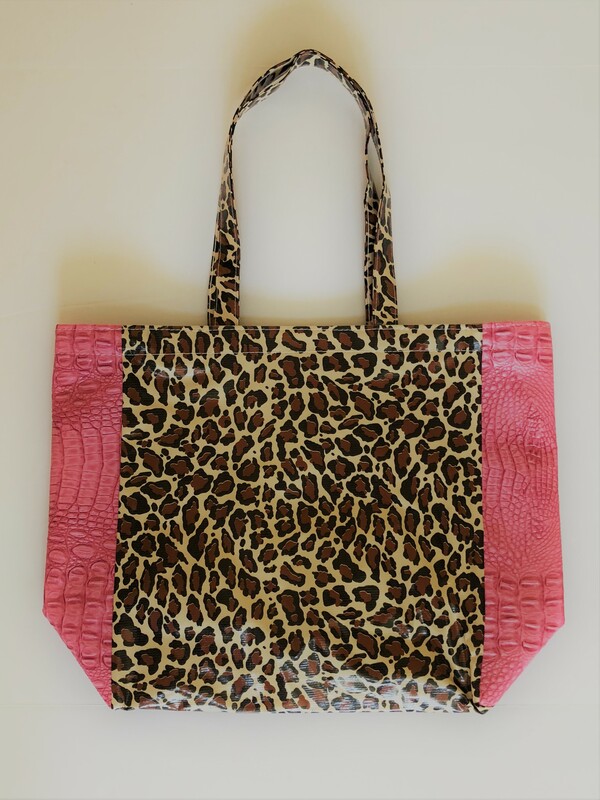 Our only tote to feature Oilcloth handles. Monogram can be a name or initial(s). Click the picture below the item to see the font choices. 13.5" x 13.5" x 6" Monogram can be a name or initial(s). 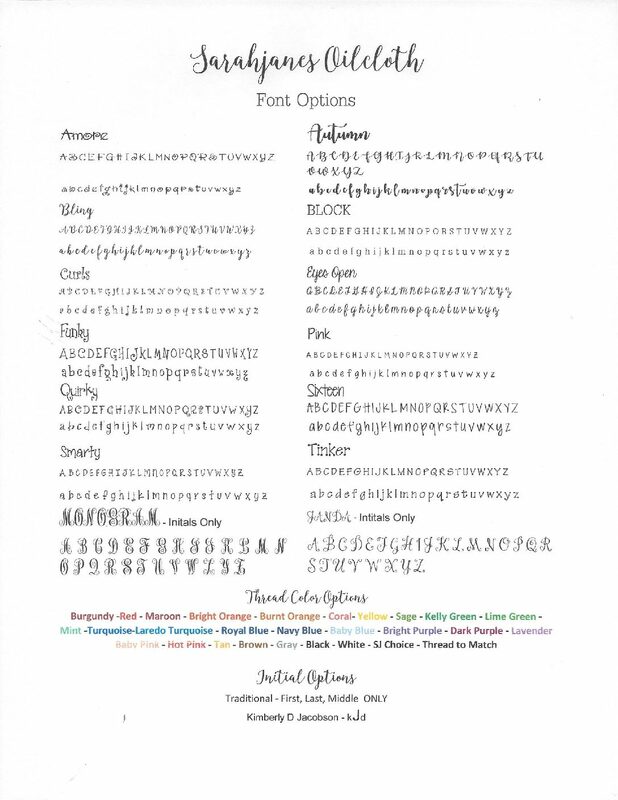 Click the picture below the item to see the font choices. We are an online boutique, please shop with us online, by phone, at a show or at Austin Gift Company in Austin Texas.